Dr. Neil Roberts provides comprehensive gastrointestinal care. 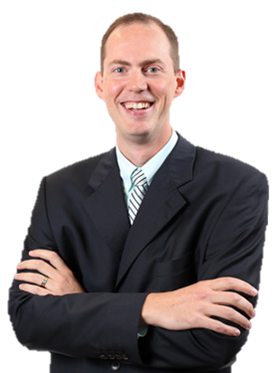 A native of Edmond, OK, Dr. Roberts is double board certified in gastroenterology and internal medicine and specializes in the treatment of gastroenterological and liver disorders. Irritable bowel syndrome (IBS) is a common disorder of the intestines. It can cause cramping, stomach pain, gas, bloating, and changes in bowel habits. Some people with IBS have constipation (difficult or infrequent bowel movements). Others have diarrhea (frequent, loose stools). Some people have both. Eating more or less fiber can help control these symptoms. A low-residue diet may be prescribed to reduce the size and number of stools, such as after gynecologic surgery or in preparation for a procedure such as a colonoscopy. The terms “fiber” and “residue” may be used interchangeably. But technically, they’re not the same thing. Fiber is the undigested part of plants that remains in the intestinal tract and contributes to stool. Residue includes fiber and any other foods that may increase stool output. The Mediterranean diet is a heart-healthy eating plan combining elements of Mediterranean-style cooking. Here’s how to adopt the Mediterranean diet. This is a diet that moderately restricts the amount of sodium you eat. About ⅓ of the sodium in our diet comes from salt. But you must also watch out for other foods high in sodium, not just salt. On this diet, you need to limit your sodium intake to 2 grams (or 2,000 milligrams, abbreviated as 2,000 mg.) a day. Just one teaspoon of salt contains 2,300 mg. of sodium.